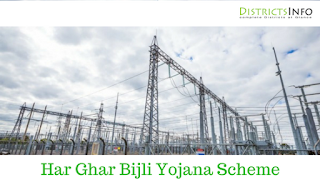 Har Ghar Bijli Yojana - Free Electricity Connection Scheme in Bihar: Har Ghar Bijli Yojana is a new scheme launched by government of Bihar under the Nischay schemes. 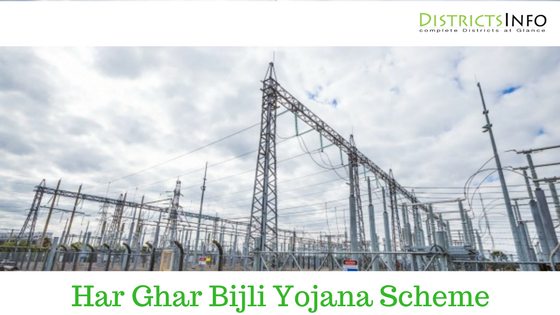 Har Ghar Bijli Yojana has been launched on 15th November 2016. As this scheme will help a lot of people who are living without electricity from many years. This will help peoples to use a lot of modern technologies. They can enhance their skills. Now many of them can use this Har Ghar Bijli Yojana and use it to increase their business and their existence in the market. Many new small business can start in the market. Also they can help themselves with many new facilities on internet and increase their knowledge and skill. Government has decided to provide electricity to many new households under this Har Ghar Bijli Yojana. What is Har Ghar Bijli Yojana? Under this Har Ghar Bijli Yojana many house will get electricity. About 50 lakhs households will get electricity under this Har Ghar Bijli Yojana. This will be implanted by the year 2018. About 440 crores rupees has been given to this project. The main objective of Har Ghar Bijli Yojana is to provide electricity free of cost to all the houses in Bihar. This schemes will help them in increasing their projects and will have more benefits. As we know that in Bihar many people live without electricity till now. Now with the help of electricity they will enhance their knowledge. 50% of the households who resides in rural areas will get electricity from Har Ghar Bijli Yojana. Electricity connection and installation charges will not be taken.But you will have to pay your electricity bill as per your usage you do. This will help a lot of people who can’t have electricity in their house because of low budget. More than crores households will get the benefits of this Har Ghar Bijli Yojana. The main aim of this scheme is to provide electricity and no households should remain. Around 2018 per capita electricity consumption will increase and expected to be more than 100 watts. Around 50% of families living in rural areas will get this benefit as expected. 50% of the population in Bihar is young and they will get many opportunities which will enhance their knowledge. Employment condition will improve as peoples can have many more skills. This also has an aim to make people aware of new technologies and new applications. As we know Bihar is one of the highly populated state in India. Due to many reasons people are not having many information to use their skill. Many people have very low income that they can’t afford electricity. Now they can use electricity to make their life better. This is a great scheme launched by Bihar government to help these peoples.